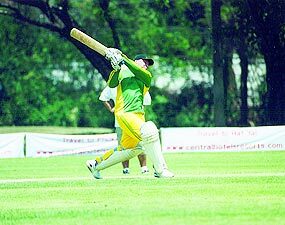 Club and recreational cricketers will converge on Bangkok late October for the inaugural ‘Thailand International Cricket Sixes 2008’ tournament. Players and teams will come from destinations such as Switzerland, China, Australia, Malaysia, Indonesia and Singapore to join local based teams and give the event a truly international flavour. Sixes cricket returns to Thailand this coming weekend with the ‘Thailand International Cricket Sixes 2008’ tournament at the Harrow International School in Bangkok. The tournament is being organised by the Asian Cricket Sixes Tour, in conjunction with the Southerners Cricket Club of Bangkok, adding to their growing tournament portfolio of ICC award winning tournaments including events in Phuket and Hong Kong. The cricket will take place on the weekend of the 25th and 26th of October at the Harrow International School, which is located just off the Don Muang Tollway, adjacent to the airport. As well as the cricket the competitors and spectators will enjoy their traditional social events over the weekend with funds raised going to the development of the game in Thailand under the guidance of the Southerners CC. Spectators are invited to attend and food and beverages will be available at the ground with admission being free. Gymkhana Club 110 year golf tournament, celebrating 110 years of the Club, takes place Sunday, October 26, 2008. Tee off 6.30 a.m. - till 1 p.m. Golf, caddy and dinner fee is 1,000 baht. Cricket: Chiang Mai Cricket Club play at Gymkhana nearly every Sunday from October through to end of March. Net sessions every Sunday morning weather permitting. ACC (Asian Cricket Council) Challenge U 17 Cup 2008: U 17 boys Nov. 15 - 20. 40 overs per innings. Start at 9.30 a.m. Three games at Gymkhana Club and at Prem Center. Six teams: Afghanistan, Maldives, Myanmar, Thailand, Iran, China. ACC Challenge Cup U19 Ladies 2008: Play 13 - 20 Dec. 2008. 25 overs per innings. Start at 10.30 a.m. Seven games at Gymkhana Club and at Prem Center. 12 teams: Qatar, Singapore, Nepal, Hong Kong, Thailand, China, Oman, Bhutan, Iran, Malaysia, UAE. Kuwait. ACC Elite Men Cup 2009: Play 12 - 15 January. 50 overs per innings. Start at 9.30 a.m. Four games at Gymkhana Club and at Prem Center. Probably 8 teams. Chiang Mai International Sixes Cricket at Gymkhana Club only: 29 March 4 April. British Club Cricket and Squash Challenge Weekend - Gymkhana Club: January 31 - February 1. Thailand Inter regional cricket tournament: February 7, 8 & 9. Gymkhana Club Christmas Golf Tournament: 20 December 2008, Christmas Party 20 December 2008.